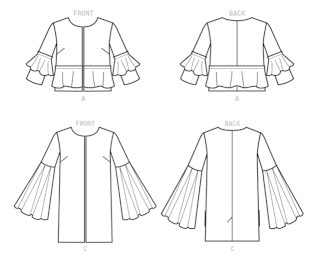 Pattern Description: The pattern is for Loose fitting lined jackets that have length and sleeve variations. There's also an option for side or patch pockets for the long jackets. Did it look like the photo/drawing on the pattern once you were done sewing with it? I think it was pretty close.. Were the instructions easy to follow? Yes, the instructions were easy. Thought the sleeves were going to be complicated but it wasn't. What did you particularly like about the pattern? I love the sleeves.. They look regal. 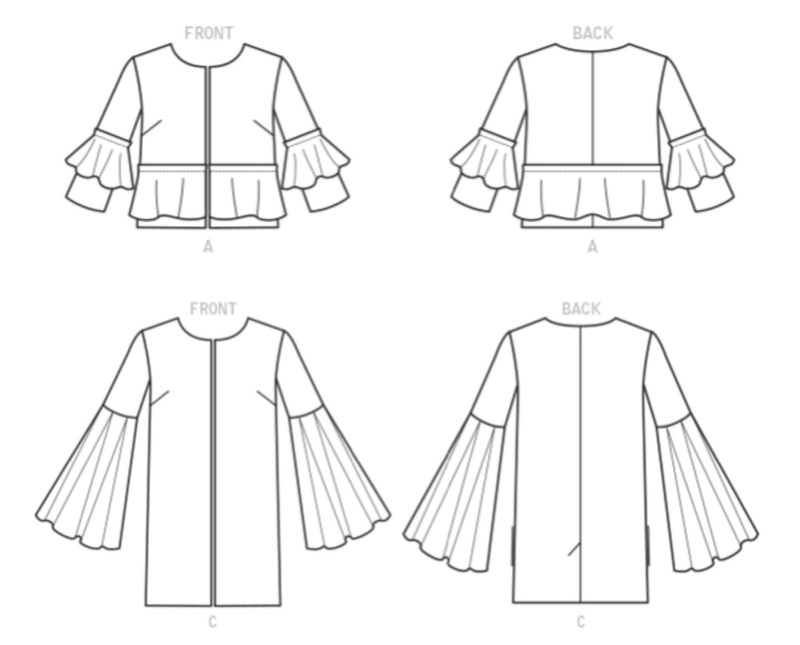 Pattern alterations or any design changes you made: I made View B with View C's length..
Would you sew it again? Yes, once I find the right shade of pink fabric I was looking for, I will be making the floor length version in the fall. Would you recommend it to others? Yes, definitely a must make.. It will look great in solid or print fabric. Love, love, love your jacket! The brocade is really beautiful and a perfect choice for this dramatic look. I have this pattern too, and am so inspired to sew it up now that I have seen your version. You have such great style-it must be so liberating to have the ability to make your own clothing! Daaaaaang that is one cool look!! Amazing jacket (and I like your sunglasses too)!